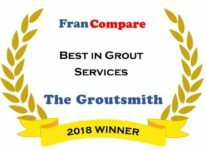 Welcome to The Groutsmith, a unique home services franchise opportunity. The Groutsmith franchise opportunity is designed squarely around financial independence. Through a combination of our premium home services, superior proprietary products, corporate support, and a proven approach to success, you will grow a respectable business by building your reputation as a premier grout and tile professional. So, what are the advantages of The Groutsmith opportunity? We realize franchising is a significant investment for the vast majority of those looking to start a business of their own. That’s why we’ve built our franchise opportunity around a low purchase price, low overhead and operating costs and high profit margins. With low upfront investment and operational costs, we put you in position to start generating revenue right away while sustaining your success no matter how long it takes to get your feet off the ground. Another huge advantage our opportunity offers is the ability to escape the office and work directly from home. If you’re tired of rigid work schedules and the stresses of constant supervision from superiors at work, this is your chance to break out and operate a business on your own terms. One of the biggest problems franchisees and small business owners face isn’t so much about how they run their business, but how their business fits within the local market. As a Groutsmith franchise partner, you’ll be given access to a large exclusive territory you can call your own. With a wide expanse of area to serve, you’ll have immediate access to customers who have been looking for exactly the kind of professional services we offer, but haven’t had access to before your business was established. Interested in learning more about this unique home services franchise opportunity? Click here to get started.